Where the four-wheeled world has Geneva, Frankfurt and more recently the Goodwood Festival of Speed, fans of two-wheeled transportation only really need to look towards Milan and the Esposizione Internazionale del Ciclo, Motociclo, Accessori – or the Milan Bike Show, to make life a bit easier. It is where all of the major players in the motorcycling world take the silk sheets off upcoming models, flesh out previous concepts and generally unload a whole host of exciting metal, gear and accessories to have punters salivating. This year’s show features some impressive highlights from the world’s biggest names, with plenty of custom-inspired production bikes to placate the current trendies, beefy scramblers and an updated Ducati Panigale (schwing). Take a look at some of our stars of the show below. Honda teased us with the beautiful Neo Sports Café Concept at this year’s Tokyo motor show but true to the rumours, that very vehicle has gone on to heavily influence a full production bike. 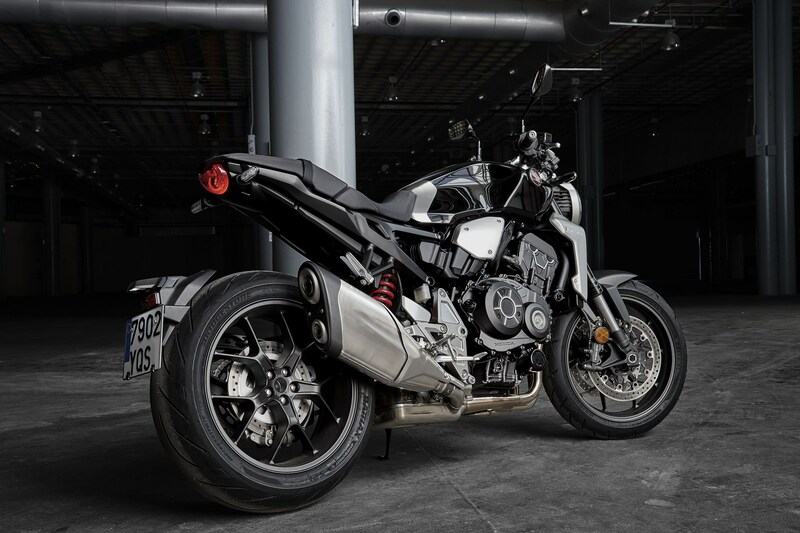 The CB1000R is a lovely hybrid mash-up of stripped back modern naked and retro-inspired café racer, with hefty dollops of futurism thrown in for good measure. It is powered by Honda’s familiar DOHC, 998cc engine, which develops 145 hp at a head-spinning 10,500 rpm. Unfortunately, some of the ultra-clean concept touches have been lost to homologation but it’s still a striking piece of design and in true café racer style, Honda claims it’s quicker than the CBR1000RR. Better still, there are smaller versions available (badged CB300R and CB125R) that are just as handsome but appeal to those perhaps just starting out on two wheels. Considering that demand for the race replica sports bikes seems to be falling through the floor, it as admirable that Ducati decided to unload a balls-out superbike on the baying crowds. 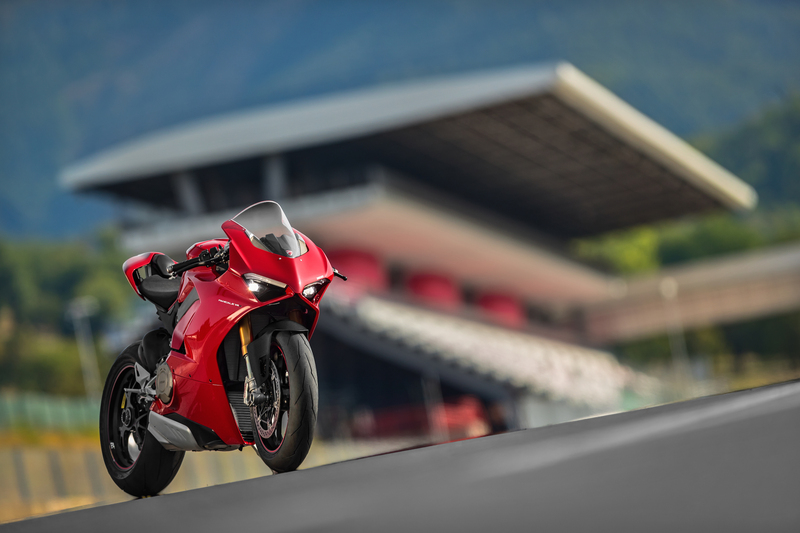 The first Ducati production bike to feature a four-cylinder engine, as opposed to the traditional V-twin, is said to pump out a staggering 211bhp. With a frame that weighs just 195kg, you can expect performance to be psychotic. Prices start at £19,250 for the regular V4 and rise to £34,995 for the limited edition V4 Speciale, which features a titanium exhaust and enough carbon fibre to start a Formula 1 team. We won’t bore you with the details here, but if you get off on stroke lengths, counter-rotating cranks and the minutiae multi-stage traction control, you can head to the website and go bananas. 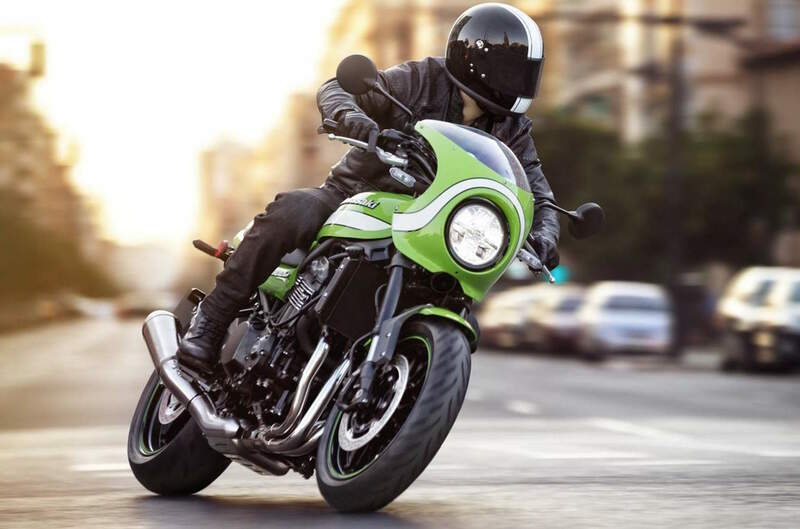 Continuing the café racer theme and quenching the hipster thirst for achingly cool retro bikes, Kawasaki revealed a neat café racer version of its Z900 naked brute. The Z900’s frame has been altered slightly to accommodate the slimmer tank, while the front suspension has been raised and the rear lowered. There’s also a cool bullet fairing, old school humped seat, raked bars and a belter of a retro paintjob. It looks set to take on the might of Triumph’s stupidly popular Thruxton model and offer a cheaper option to those browsing the BMW RnineT brochures, although there is currently no word on pricing form Kawasaki. Although not official in any way, we’re slapping our “Most Handsome Beast of the Show” rosette on Indian’s staggeringly beautiful Scout FTR1200 Concept – a carbon fibre-clad homage to the flat track race bikes that have dominated the 2017 American Flat Track Series. Based on the street legal 1133cc V-Twin engine found across the Scout range, this speedy concept was stripped back and lavished with lightweight materials in order to create a vision of a true flat track Scout for the road. There is no definitive answer from Indian as to whether we will see a production version any time soon but we think they’d be mad not to. What a beauty. We absolutely adore the Ducati Scrambler and think that it currently packs the perfect blend of ‘go-anywhere’ styling, on and off-road performance and small bike convenience but Ducati thinks customers want more. 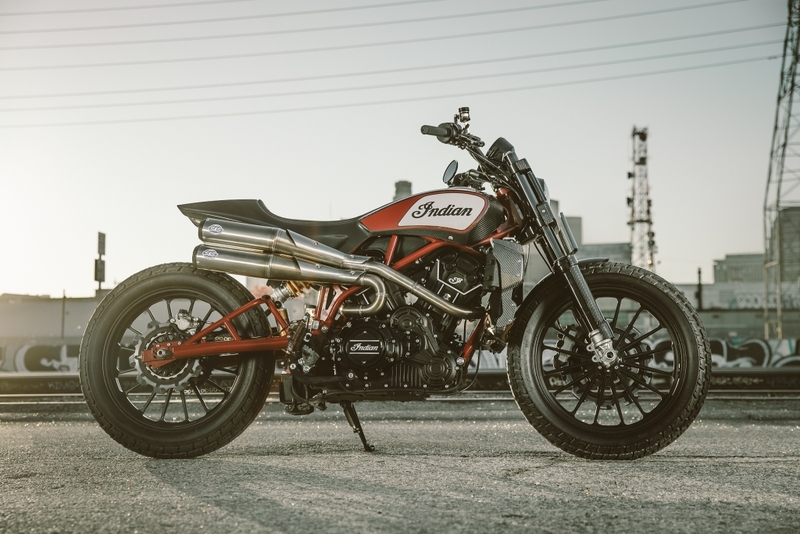 The beefy Scrambler 1100 features the 1,079cc air-cooled L-twin engine from the Monster and boasts styling that looks as if it has been force-fed steroids and chained to a CrossFit gym for the past few years. 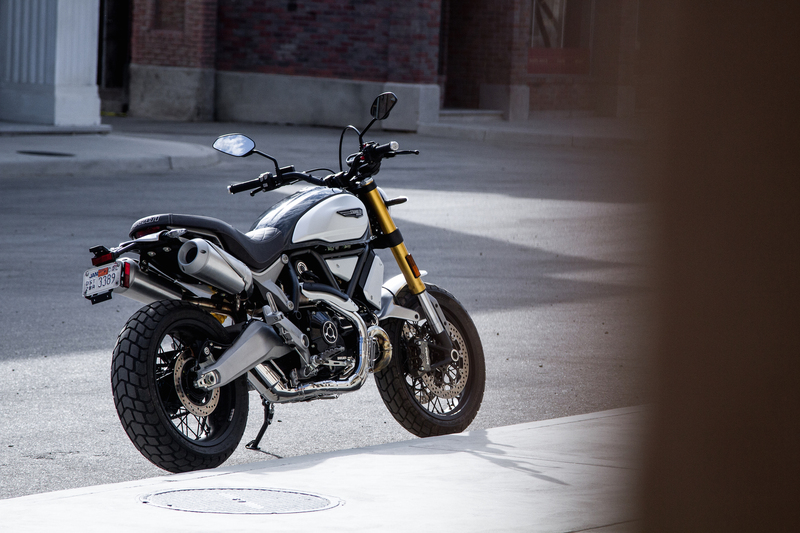 There’s greater use of aluminium to shave some weight, multi-mode ABS and varying riding modes that give the customer the ability to alter the big Scrambler’s mood to suit the occasion. It has been two years since Suzuki unveiled the brilliant SV650 Rally Concept at the Osaka Motor Show in 2016 and we can’t help thinking they waited too long to come up with a production version. The SV650X remains close to its concept counterpart in terms of neo-retro styling, with ace bikini fairing, clip-on handlebars and contoured leather seat ensuring there’s more than a hint of café racer about it. 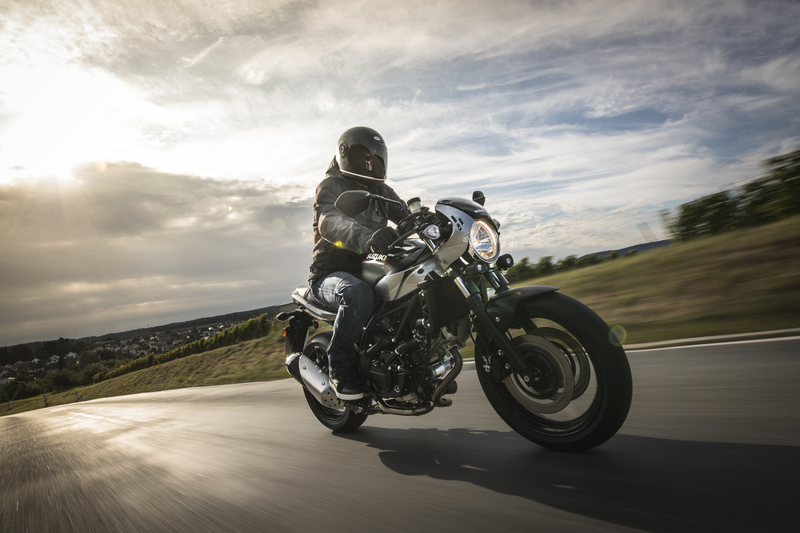 Mechanically, very little has changed from the standard SV650, meaning it gets the same V-twin engine and Suzuki’s low-rpm assist and easy-start system. According to the Japanese marque, there are also new preload adjustable front forks, which will feature across the SV range for 2018. You don’t see many Husqvarnas on the road but the KTM-based bike builder is hoping to change that with its bold new Vitpilen 401 model. 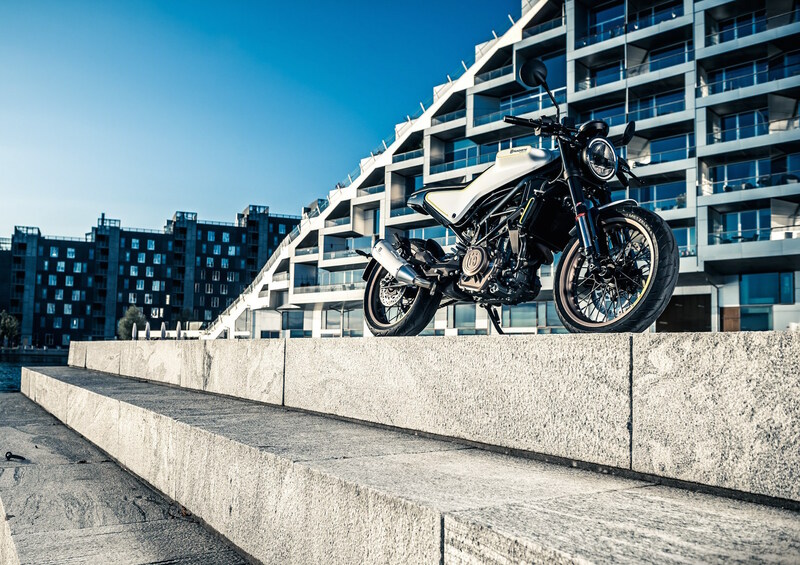 Available next year in scrambler and café racer styling, the Vitpilen 401 features KTM’s ace 375cc engine from the 390 Duke but it boasts upgraded suspension from WP, beefier ByBre brakes and some extremely aggressive, yet incredibly understated styling. Who says small capacity bikes need to be boring, eh? Could this be the coolest commuter hack for sub-£3k?